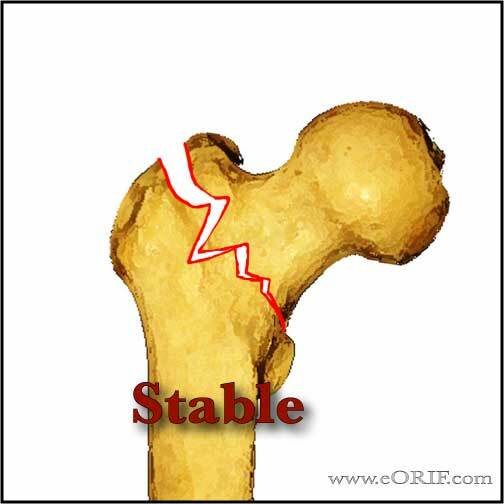 Treatment = 2-hole Intertrochanteric Femur Fracture SHS 27244.
posteromedial cortex comminuted, lateral cortex disruption. 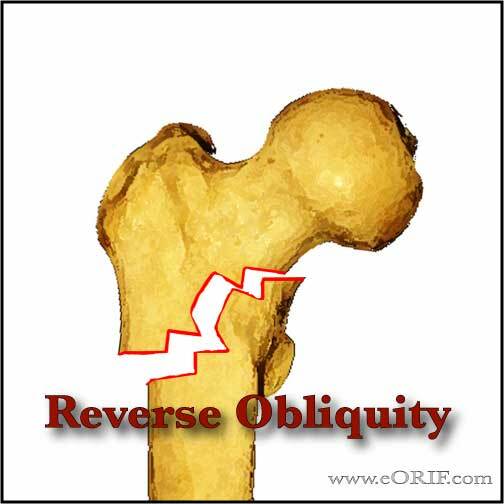 Treatment = Intertrochanteric Femur Fracture IMHS 27245. Generally with long unlocked nail, unless there is subtrochanteric extention. Distal locking indicated for fractures with subtroch extention. 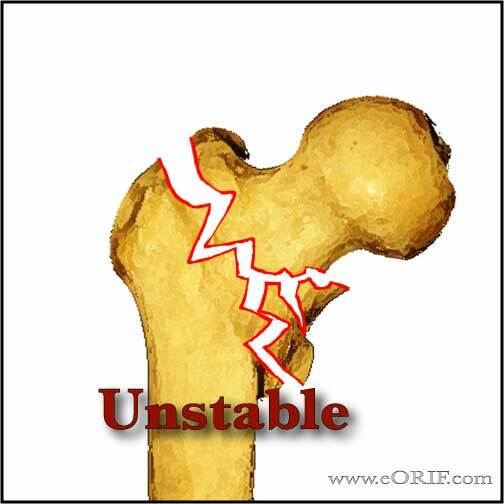 Increased failure/complications rate as compared to stable fractures. Sliding hip screw is associated with many complications and failures.